Heights vary from 2m to 3.6m. 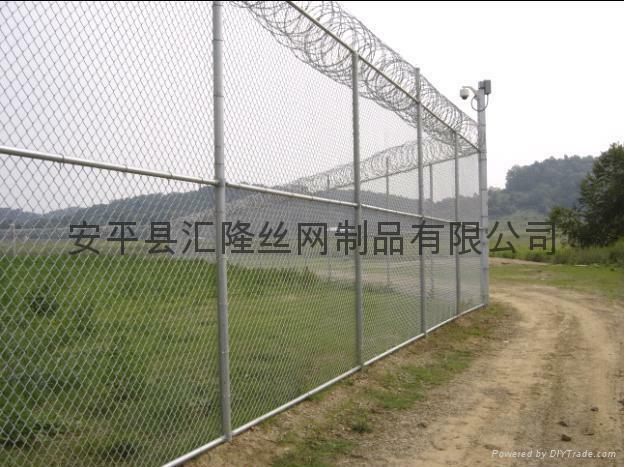 Advantages︰ Chain link is a versatile and easily erectedform of fencing. Topped with either barbed wire or razor wire, post can be made from concrete, wood, galvanized steel or polyester powder coated steel.